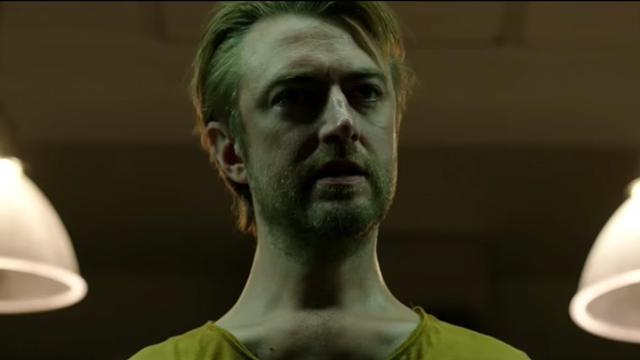 A brief new Belko Experiment Red Band clip has just been released and it features Sean Gunn in the middle of a chaotic shootout. Check it out in the player below and take a look at previous Belko Experiment videos by clicking here. The Belko Experiment explores a twisted social experiment, in which a group of 80 Americans are locked in their high-rise corporate office in Bogata and ordered by an unknown voice on an intercom system to participate in a deadly game of kill or be killed. It’s not long before the situation devolves into an ultraviolent winner take all gore fest that has everyone fighting for their lives while trying to figure out who is really pulling the strings. 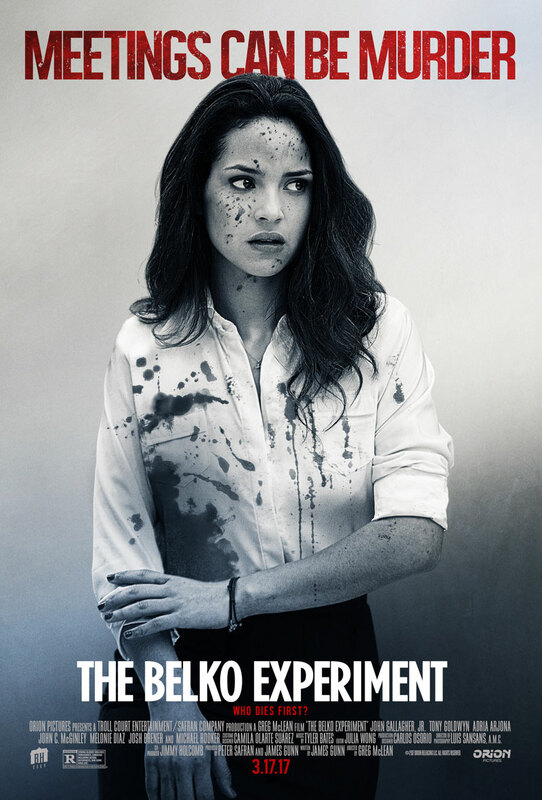 The cast for The Belko Experiment includes John Gallagher Jr. (Short Term 12), Melonie Diaz (Fruitvale Station), John C. McGinley (Office Space), Tony Goldwyn (Scandal), David Dastmalchian (The Dark Knight), Gail Bean (Unexpected), Michael Rooker (Guardians of the Galaxy), Valentine Miele (Super), Mikaela Hoover (Super), Josh Brener (Silicon Valley), Rusty Schwimmer (Louie), Joe Fria (Speedwagon), James Earl (The Lazarus Effect), Brent Sexton (The Killing), Stephen Blackehart (Tromeo and Juliet), David Del Rio (Pitch Perfect) and Ben Davis (Red Dead Redemption). Peter Safran (The Conjuring, Annabelle) is also producing The Belko Experiment. BH Tilt will release the film in theaters on March 17. Check back soon, too, as we will be bringing you interviews with The Belko Experiment‘s cast and crew. What do you think of The Belko Experiment Red Band clip? Are you going to check this one out on the big screen? Let us know in the comments below!